On March 29th, 2019 the President signed Executive Order 13865 relating to resilience to EMP, both natural and human-made. This is a significant step in normalizing the conversation around EMP and the need to address shortfalls in this area. You can find a link to the full Executive Order below. Warm, sunny days are on their way once again. Hopefully, with everyone's share of vacations. Don't forget to pack your sunscreen! SPF 15 or above (93%+ protection) is the American Cancer Society recommendation. 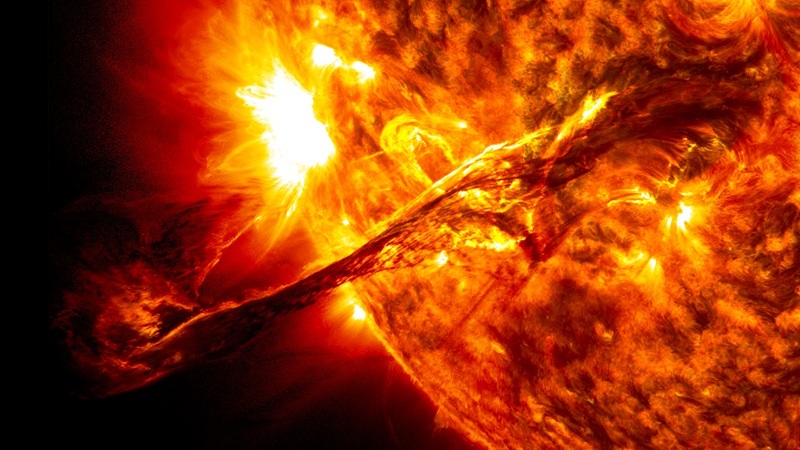 The Sun is a great resource that we simply could not do without. It gives us energy in so many different ways, some of which we need to block while at the beach to help preserve our health. All the great benefits also come with risks. Without getting into too much detail, the Sun runs on a cycle of activity spanning approximately 11 years. In this time, sunspots come and go based on what's happening with the Sun. During peaks in the solar cycle, the activity, and thus spot occurrence, tends to increase significantly. While sunspots are not themselves the danger (only a balmy ~3500K vs ~6000K), they are an indication of other activity that is dangerous since most solar flares and coronal mass ejections (CMEs) originate around groups of sunspots. Every now and then, those solar flares and CMEs erupt and head on an intercept path with Earth. When they arrive, they interact with the upper atmosphere, concentrating around the poles first to create what can be an awe-inspiring sight in the extreme northern and southern latitudes, the Aurora Borealis or Northern Lights. Typically, the Earth's magnetic field protects us from these charged particles by absorbing and deflecting them. Once the amount of particles reaches a threshold where the magnetic field can no longer keep up, the particles begin to affect things that we rely on, radio communications and the electrical grid to start. 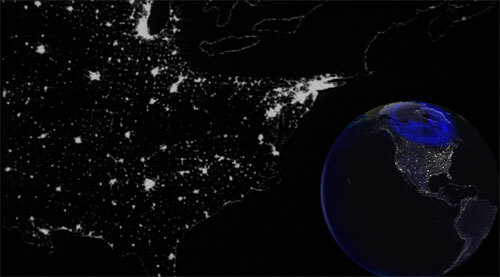 In extreme cases, this causes damage to equipment and outages such as the 1989 blackout of the Canadian province of Quebec (http://www.nasa.gov/topics/earth/features/sun_darkness.html). 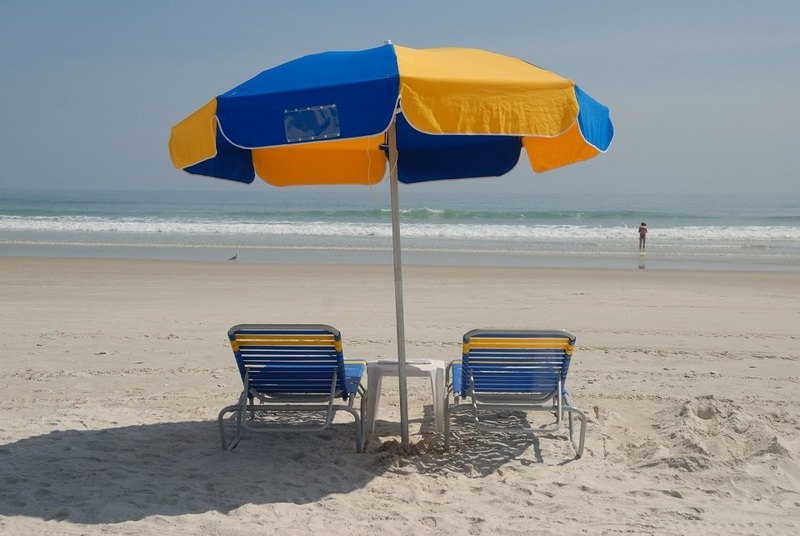 Let's go back to those sunny days on the beach for a moment, and very importantly applying your recommended sunscreen. Unfortunately, our electrical grid and much of what makes our nation function on a daily basis goes without its sunscreen. As studies have shown, still today we simply don't have protection in place for much of this critical infrastructure. This risk, and that of nuclear and non-nuclear EMP burst, poses a tangible threat to our infrastructure and day-to-day lives. Over the past few months, we've been working hard to help extend the mission of the InfraGard National EMP-SIG to regional and local involvement in efforts to raise awareness, promote education, legislation, and any other activities which might help provide some sunscreen for this gap. Are you interested in learning more? Great! Keep visiting EMPCenter.org for more information, resources, and news on EMP SIG activities.